Online registration will close Thursday, September 27, 2017 at 9PM. Race Course Description: The Course is a 2-mile single loop which winds within the confines of Stude Park and along White Oak Bayou. The course is relatively flat with three short inclines and runs mostly on grass and dirt surfaces with some short stretches of concrete. Late Registration and Packet Pickup: Will be held on Friday, September 28, 2018 from 4:00 PM to 7:00 PM at Finish Strong 6426 Washington Ave., Houston TX 77007. Late registration and race number pickup will be available at Stude Park, race day from 3:30 to 4:30PM. Please arrive early to complete your race form. 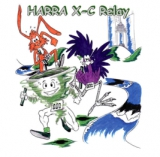 HARRA Club Competition: Each runner on a relay team competing for HARRA team points must be a HARRA member to be eligible for HARRA team scoring. All HARRA team scoring rules apply. Contact Roger Boak at 713-665-0757 for HARRA team scoring questions. Race day registration will be from 3:00-4:30pm at Stude Park 1031 Stude St., Houston, TX 77007; Race starts close to intersection of Usener St., and White Oak Dr.
Race day pricing will be $20 per person ($80 total). Cash or checks only.